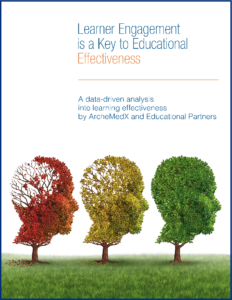 Antidote Education Company partnered with ArcheMedX to deliver an agile educational design within the ArcheViewer that not only creates a more effective learning experience and improves overall outcomes but also makes it much easier to demonstrate success and identify additional unmet learner needs. 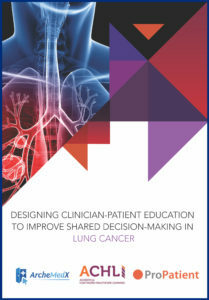 The Academy for Continued Healthcare Learning and ProPatient collaborated with ArcheMedX to develop an integrated digital learning program intended to increase physician engagement and empower patients to participate in shared decision-making surrounding lung cancer diagnosis and treatment. 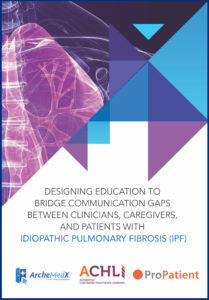 The Academy for Continued Healthcare Learning and ProPatient collaborated with ArcheMedX to develop an integrated digital learning program intended to increase physician engagement and empower patients and their caregivers to participate in shared decision-making surrounding IPF diagnosis and treatment. 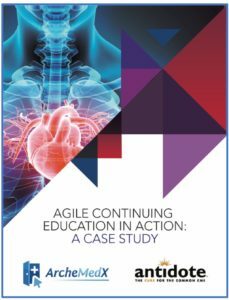 This White Paper explores why the more engaged a learner is throughout the learning experience the greater the educational impact. The resulting analysis provides a series of best practices the educational community can leverage to optimize their online educational interventions. 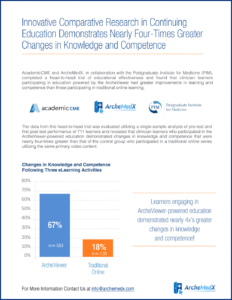 This White Paper shares the results of a comparative analysis that found clinician learners who participated in the ArcheViewer-powered education demonstrated changes in knowledge and competence that were nearly FOUR-times greater than that of the control group.